Before his son Samuel was diagnosed with cerebral palsy, photojournalist Dan Habib rarely thought about the inclusion of people with disabilities. Now he thinks about inclusion every day. Shot and produced over four years, Habib’s award-winning documentary film, Including Samuel, chronicles the Habib family’s efforts to include Samuel in every facet of their lives. The film honestly portrays his family’s hopes and struggles, as well as the experiences of four other individuals with disabilities and their families. 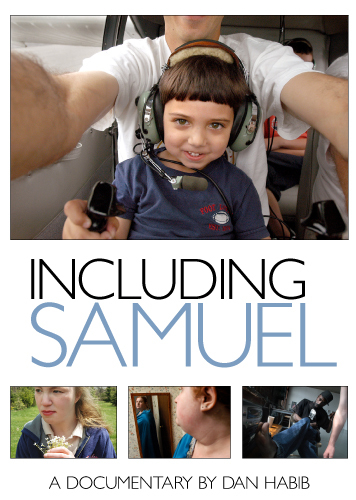 Including Samuel is a highly personal, passionately photographed film that captures the cultural and systemic barriers to inclusion. The film has been screened at universities, national conferences, public television stations, and independent theaters across the country. Including Samuel has also been featured on NPR’s "All Things Considered," "Good Morning America," as well as in the Washington Post and the Boston Globe. The film won the Positive Images in Media award from TASH, an international group committed to the full inclusion of people with disabilities. It has also screened at the Sprout Film Festival at the Metropolitan Museum of Art, the Boston International Film Festival, the Ft. Lauderdale International Film Festival, the Moscow International Disability Film Festival, and won the “Excellence Award” from Superfest International Film Festival in Berkeley, CA.